Non-Hardening clay is fun and easy to use. 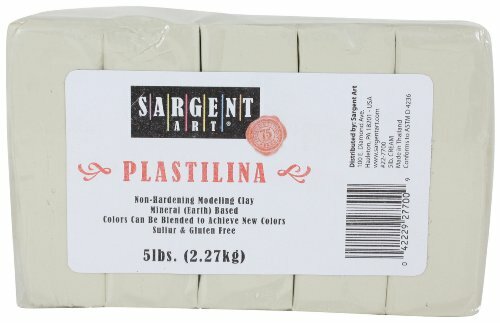 Sargent Art non-hardening clay is suitable for the tiniest hands. It's very pliable. Use for flower arrangements, science projects and more!